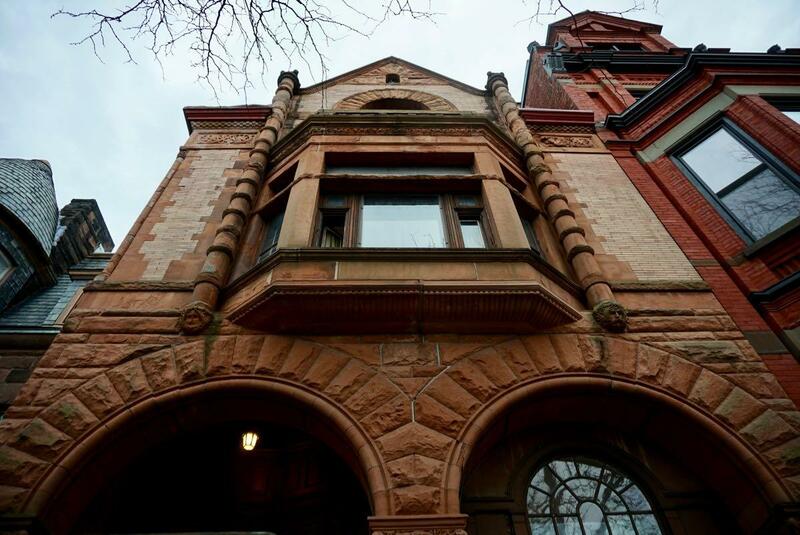 Overlooking Washington Park very close to where State Street and Willett Street meet stands a three-story, pink sandstone building with a Romanesque design and an interior of intricate woodwork. It was in this building that the only resident of the city of Albany who has ever ascended to the governorship of the State of New York once lived. That resident was Martin Henry Glynn. Glynn was not the first resident of 28 Willett Street. 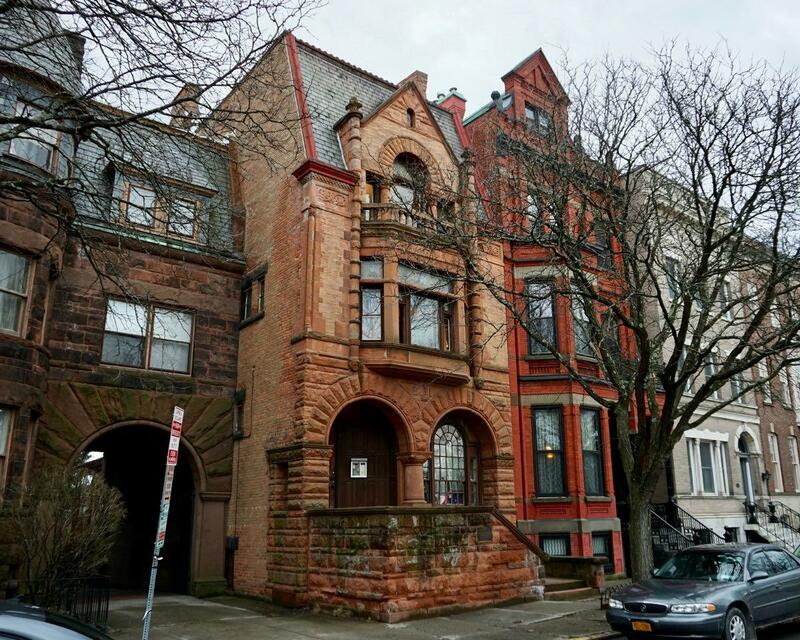 Built in 1891, the home was one of the last of a string of park-facing mansions constructed along the street in the 1870s, 1880s, and 1890s, according to Albany Architecture: A Guide to The City. 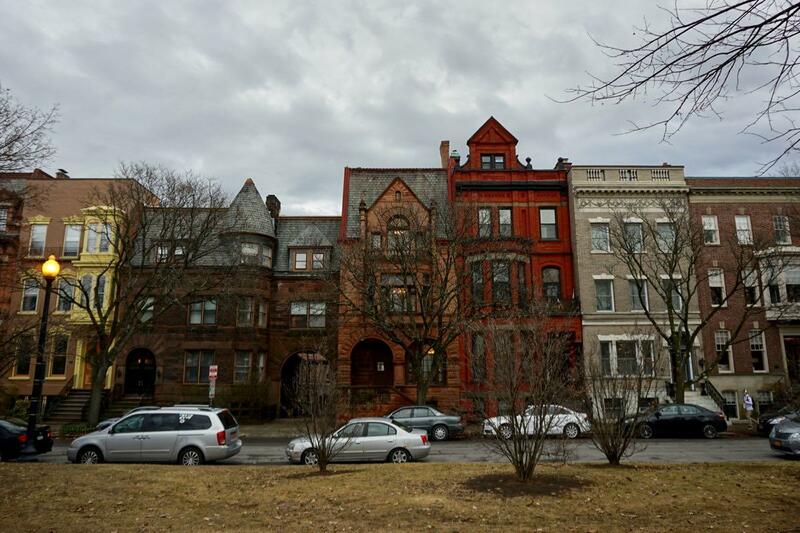 The honor of being the first resident of 28 Willett went to Edward Young, a local banker. Young, unfortunately, would die not long after in a riding accident in Washington Park. Glynn and his wife Mary would later move in -- Glynn is listed at the address in the 1903 city directory -- and over the next several years add their own unique chapter to the history of 28 Willett Street. Glynn was born in Kinderhook, the son of Irish immigrants. He was a dedicated, lifelong public servant who held multiple elected offices, including representing Albany County in the House of Representatives at just 26 years old (the minimum age that's set in the Constitution is 25 years old). He was then elected as State Comptroller and later Lieutenant Governor. In 1913, following the impeachment of Governor William Sulzer -- the only New York governor who's been impeached -- Martin Glynn became the 18th Governor of New York State. 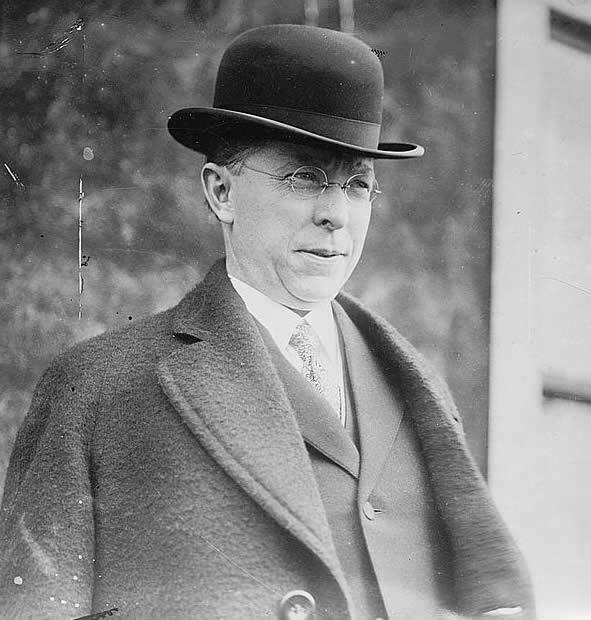 He did not serve a full-term in office, lasting a little over a year as governor following his defeat by Republican Charles S. Whitman in 1914. However, his short time in office was not without significant legislative accomplishments that still impact the state today. Under Glynn's administration New York enacted its first workmen's compensation act, established a land bank system to aid farmers in financing their farms, and created a state employment bureau to help unemployed New Yorkers obtain work. Glynn died December 14, 1924 at the age of 53. The publicized cause of death was a heart attack -- see this New York Times obit. But research by Dominick C. Lizzi for his book Governor Martin H. Glynn: Forgotten Hero revealed that Glynn, who had suffered from chronic pain related to a spinal injury, had killed himself. That NYT article announcing Glynn's death contained a rather interesting quote from then-British Prime Minister David Lloyd George, who had come to Albany on October 6, 1923. 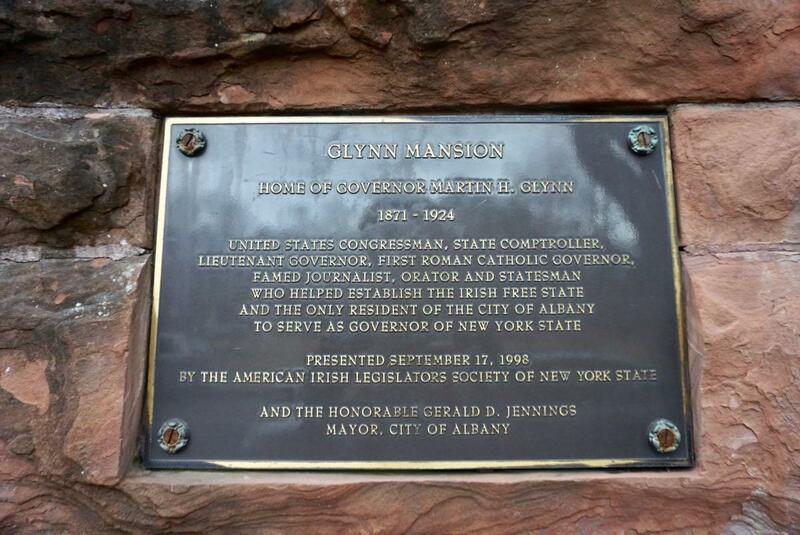 He said: "The people of Albany - Governor Glynn's townsmen - should feel highly honored, because no man did more to bring a settlement to the Irish question, no man did more to end the feud that has existed for seven hundred years than your distinguished fellow-citizen, Martin H. Glynn." What was Governor Glynn's role in this so-called "Irish question". Glynn had a reputation has a charming speaker and that, combined with his familiarity of both Irish and English history, allowed him to serve as a key intermediary between representatives of both countries. Glynn helped negotiate an agreement in 1921 between Prime Minister Lloyd George and Éamon de Valera, leader of the Irish Rebellion, which sought to end the violence in Ireland that had long persisted as a result of English rule over the island. This agreement would not ultimately end the violence in Ireland, but at the time it was heralded as a major step forward towards achieving peace. Today, the Glynn Mansion is as an 8-unit apartment building, according to city records. Coincidently, two of my close friends, Devi Shiwnath and Alberto "Berto" Sepulveda, once rented an apartment there before moving out-of-state. When I asked Devi and Berto what factors led to them wanting to live at 28 Willett Street, Devi said that they both "fell in love with the beautiful architecture of the building and intricate woodwork inside. It was old and creaks a little bit and we knew it felt like home the minute we walked in." Devi added at the end of our conversation, "If we ever moved back to Albany, we would jump at the chance to live there again." Wow what an incredibly well written and researched piece about such an interesting and beautiful building.....a joy to read after a hard day at work! very late in posting, but i'm a big fan of AOA targeting a single property and discussing it. Makes the issues of history and architecture come alive, and reminds us of how important/vibrant Albany once was on a Regional and National Level. inspiring. Thanks for the encouraging feedback! This "building biography" idea is something we've been wanting to do for a while, and Justin seemed like just the person to do it. We're looking forward to doing more. Thank you everyone for the positive feedback! Absolutely fantastic article, very interesting and, as a history fanatic, i’m A bit embarrassed about how much new information (to me) was included! Absolutely brilliant, and the more of this there is, the better!